If the harsh winter cold causes a pipe burst on your property, you can call the water damage Saint Paul team with 911 Restoration of Minneapolis and they will do whatever it takes to clean up the floodwater. You can trust that we act fast on every job we are called to mitigate. Our water damage Saint Paul pros will arrive to your home within 45 minutes, even if you call us in the middle of the night. Our service agents are available 24/7/365, which is why it is possible for us to assist you around the clock. The sooner we repair to the source problem, the less damage will be done, so call our IICRC certified water damage Saint Paul crew and we will go the extra mile for you today. Failing to keep your bathroom properly maintained can result in leakage and, in some cases, flooding, that may cause costly water damage to take place. By inspecting this part of your home 3-4 times a year, you can stop permanent damage from taking place, as well as curbing mold growth from infesting the walls, ceiling and flooring. Our water damage Saint Paul experts want to keep your home safe, and by implementing proper maintenance all year round, this can be possible. It can be difficult to check your bathroom plumbing directly, since they are usually under the floor or inside walls, but by paying attention to moisture on the surfaces of the room you can detect any plumbing issues. Call our water damage Saint Paul professionals today and they will provide you with a free home inspection to make sure your bathroom is in optimal shape. 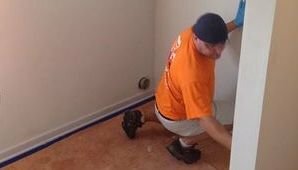 It is important for our water damage Saint Paul crew to assert their skills and knowledge once they arrive on the scene of any water damage situation. We know how overwhelming it can be when you are faced with a flooded home, so when you hire us, we do more than just repair the damage, we take care of you and your family. By this we mean that we will do whatever it takes to ensure your emotional wellbeing throughout the entire process, from start to finish. Along with quickly and efficiently completing all aspects of the moisture damage remediation, our water damage Saint Paul unit will assist you with the financial side of the repair work as well. With so many years working with insurance companies, we know what information they need to properly process your claim. In fact, we will file the entire thing for you, giving you one less thing to worry about. 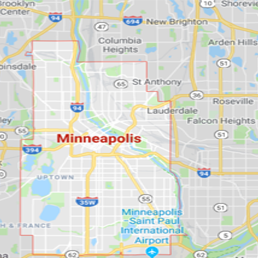 For the most thorough water extraction and drying services in the industry, call our water damage Saint Paul techs at 911 Restoration of Minneapolis today.